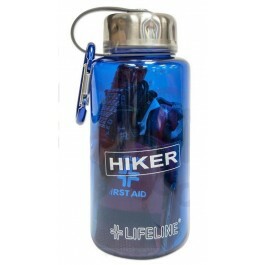 Lifeline Hiker Kit in a Bottle is designed to get a person through a day or two in the great outdoors. 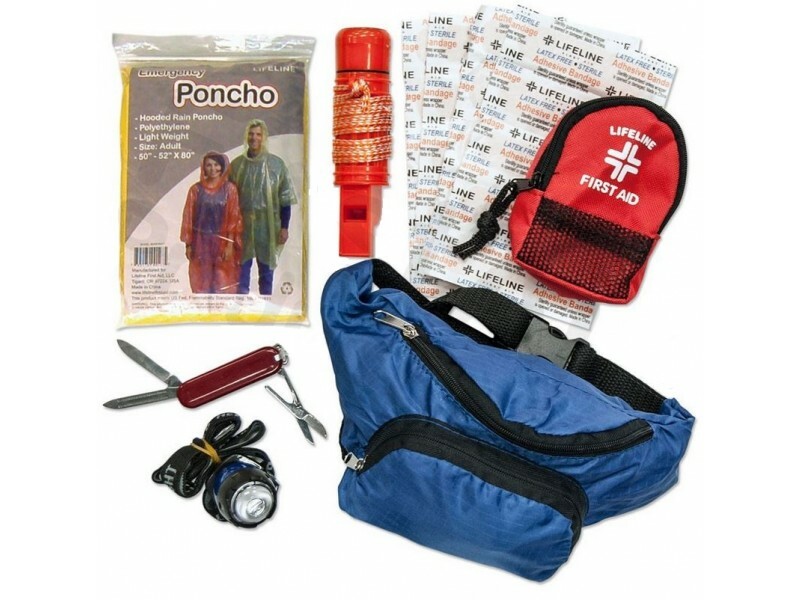 This kit contains a carabiner, multi-function tool, whistle, compass, flashlight with batteries, survival blanket, candle, waterproof matches, poncho, 2 chemical hand warmers and a reusable zipper-lock bag. 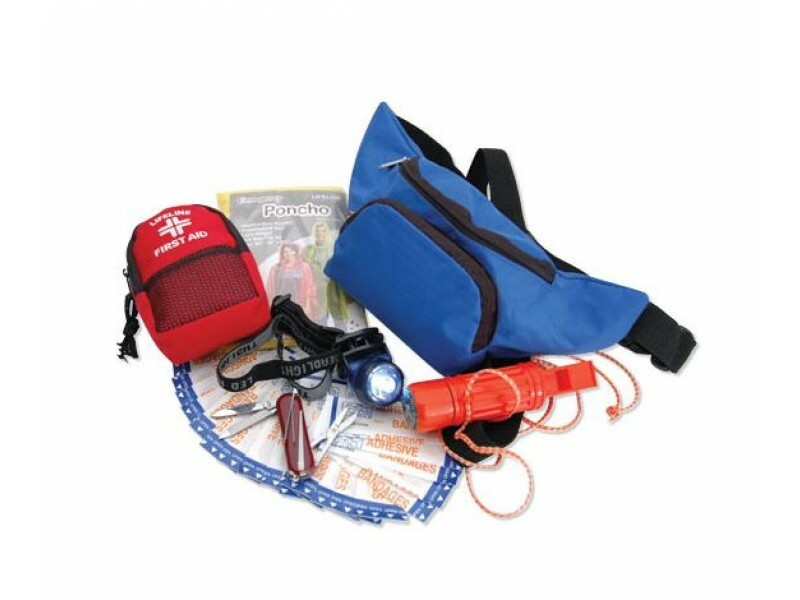 All the contents are arranged in a rugged 1 liter reusable dishwasher-safe bottle. 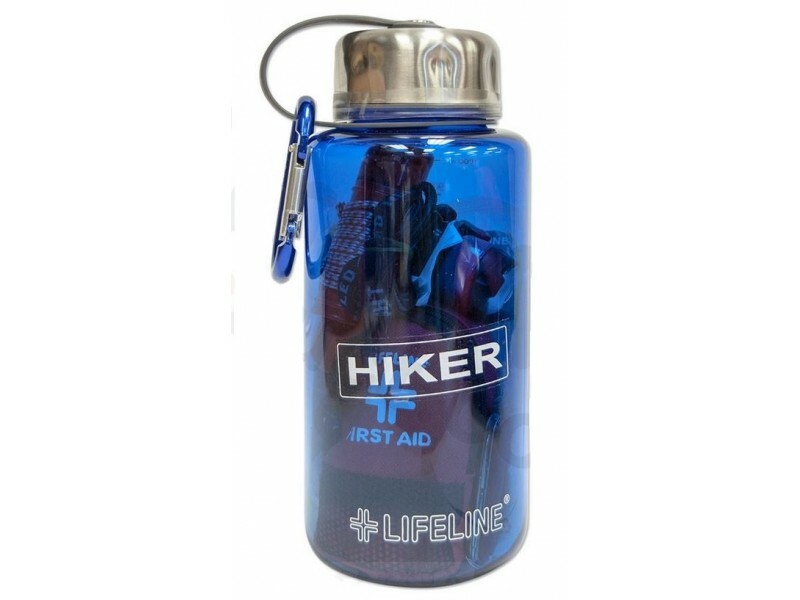 This bottle is suitable for either drinking water or relieving those in-flight bladder emergencies. Everything is one place for easy transport and connivance.